I said yes to myself today. Yes to the most beautiful, fragrant, lavender roses with red edged tips. Unique and lovely, they eased the unexpected ache inside. I put them in my cart knowing they were not on sale, and more expensive at $10 than the clearance grocery store bouquets I usually give myself permission to buy. I needed them. More than I realized until after I placed them in a clear glass vase upon the solid oak kitchen table. 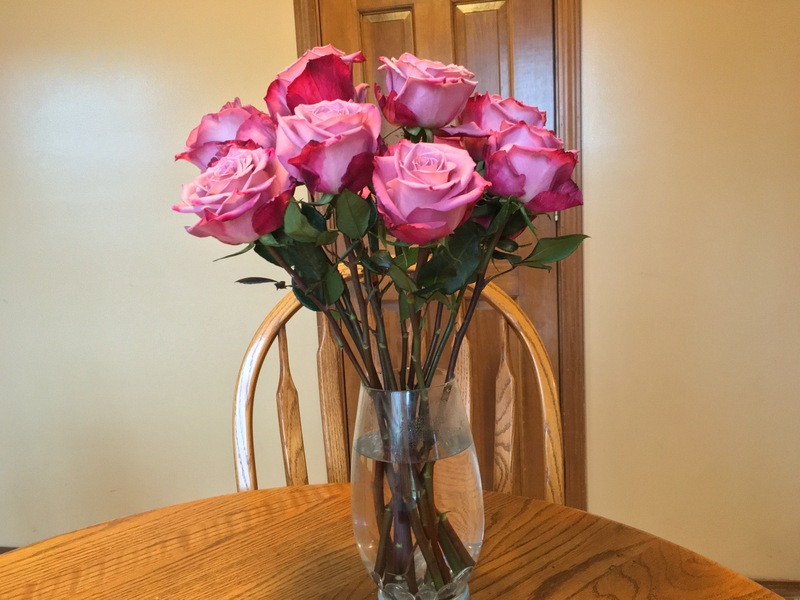 Ever since, these unique, two-tone roses have been filling the room with a pleasant perfume in lieu of the wet dog, teenage boy and other non-rose scents that often linger. I needed them today, this bouquet, more than I knew. Ahhh. Much better.